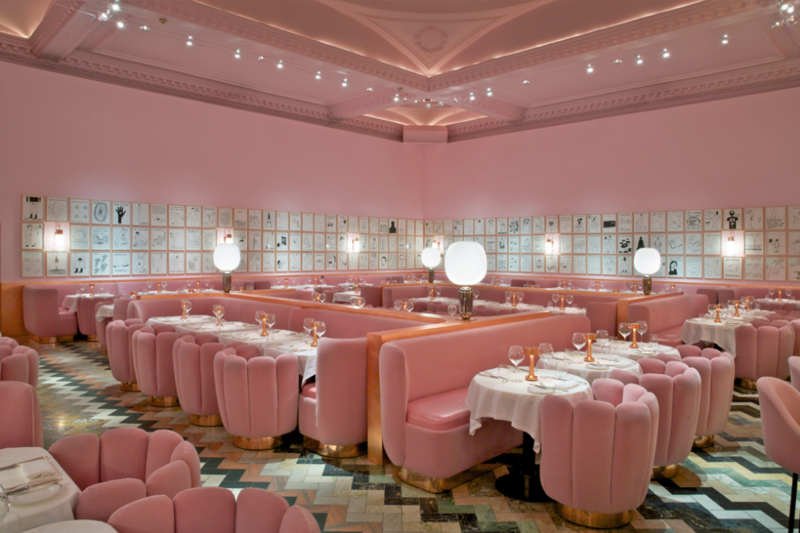 Have you ever been left seething at having paid for average food served in a below-average manner in a Barbie’s boudoir designed for Instagram likes? 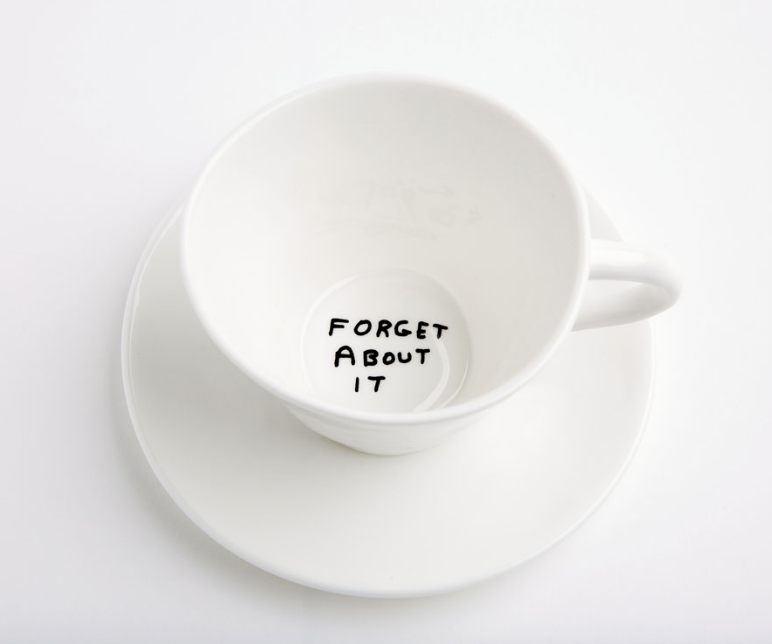 This was my experience of afternoon tea at sketch. Every year, my friend RP and I take each other out for a surprise meal to celebrate our respective birthdays. Like Chiltern Firehouse, his 2016 effort, sketch had been on the periphery of my restaurant radar; hype turns me off. Unlike Chiltern Firehouse, the food consumed during our 2017 outing wasn’t good enough to take the sting out of the sloppy service. So, what went wrong? Virtually everything. After giving our names on arrival, we were left hanging around like a bad smell. Instead of being shown to a waiting area while our table was being prepared, we were unceremoniously dumped. Unfortunately, FOH’s inability to communicate, among themselves and with us, got worse. Good things don’t always come to those who wait, otherwise this would’ve been a very different story. We waited 20 minutes for water, waited for menus, waited for explanations/advice, waited to order. Apparently, a Tea Master jovially wheels her trolley around the room for diners to smell the samples before ordering. On our visit, they just put Baby in the corner. Another glaring omission was the famous Caviar Man. Clad in a pale pink suit, bowler hat and white gloves, the website shows him serving caviar on a mother of pearl spoon from a silver tray to accompany the first course. Maybe it was his day off, or he’d escaped. The waitress who waltzed over to take our order 10 minutes after we’d done so probably wished she was elsewhere, too. She stood in awkward silence for a few seconds during which time seemed to slow down to match the speed of their service. If only the food had made us forgive and forget this unimpressive start. The ‘Egg and Soldiers’ – a 63° yolk in a Comté cheese mornay with thin Comté fingers – was clever, but lacked clout. We’d have been happier with a chunk of Comté instead. The three-tiered stand arrived, and of the sandwiches, only the St Brides coronation chicken had appealing flavours and textures. The tomato chutney and lettuce on pumpernickel bread disintegrated on first bite; the duck egg and watercress was dull and dry; the Scottish salmon and Jacob’s cream resembled the wrap/canapés thrown together by a Come Dine With Me contestant. Give me an M&S sandwich for a fraction of the cost. Pastries were equally underwhelming, the best being the petit choux with raspberry cream. I doubt the kitchen intended to imitate Mr Whippy’s raspberry sauce, though. There was also a plum tart (pastry too thick) and a millefeuille-style chocolate caramel gateau (OK). We didn’t get to try the knotted Malabar marshmallows or blueberry cheesecake: when the waiter asked if he could clear the table for scones, we assumed he’d bring back a smaller plate with the remaining items. He didn’t. By now, the scones were en route and so trumped the mediocre sweets. Warm, slightly soft and sultana-laden, these were the highlight of the lot. Fig and strawberry jams, practically poured onto clotted cream peaks, made us smile. Smiles became frowns as soon as we tried the Victoria sponge and pistachio cherry cake from the trolley; both dry, and even the huge layer of cream in the sponge couldn’t remedy this flaw. We were still picking at the cake when the bill mysteriously materialised. The total was just as confusing: £317.50 for two. Fair play if we’d inhaled the entire bowl of caviar, but we know that didn’t happen. Our query was met with indifference, as was our request to remove the service charge. Correct bill printed and paid, we resisted the urge to tell people queuing to get in not to bother as we left. And the toilets? The white pods and multi-coloured ceiling tiles are a star attraction for those who think taking selfies in a bathroom is normal behaviour. But even the average photo is an improvement on reality; the furniture looks worn and scuffed, particularly the pink velvet seating. According to the website, the room is “defined…by a touch of humour”, and the joke’s on you for being sucked in by the marketing machine. We emailed sketch about these issues after our visit; they haven’t deigned to reply. If you want to enjoy afternoon tea somewhere worthy of your time and money, check out my favourites here. Update (17/12/2017): sketch contacted me after this review went live stating that they hadn’t received our email, which I find rather hard to believe. We resent it and have been told that the CEO will be in touch shortly. We’re still waiting for a response. Update (28/12/2017): The forwarded email has been received and the CEO has since sent a letter of apology fully acknowledging the issues that we experienced. A refund of £136.56 has been offered, accepted and processed. Budget: £75 pp for Champagne Afternoon Tea (excluding 12.5% service charge). 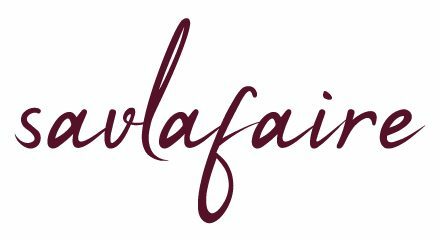 All views are my own, unless otherwise stated, and remain the property of www.savlafaire.com. Oh no – I’m so sorry you didn’t enjoy it. I went a couple of years ago and really liked it, but it sounds like things have changed a bit since then. The service you guys got sounds horrible, and that makes me feel really sad. I wonder if maybe they’ve believed their own hype too much and just got complacent. But on a more positive note, I hope you had a lovely birthday overall – and where next for afternoon tea?! Those who have been recently have all said that the experience was pretty average at best, so it’s something that the restaurant needs to address. Whether they will or not is a different matter… The service was so poor that it really took the shine off what was meant to be a happy occasion. This debacle aside, I did have a lovely birthday, thanks – was in France for the actual day, so no complaints about the wonderful restaurant where I had dinner! OMG! Well I’ve never had afternoon tea at Sketch before and obviously never will. Many moons ago I dined in their Lecture room and Library, which as fine dining goes was done quite well if my memory serves me correctly. The bad attitude served alongside the bad food is unbelieveable though.. Loved the honest write up! I had been suspicious that people only went for the decor/instagram likes. We had a very similar experience at The Ritz a few years back, terrible cakes and sweets and lacklustre service – definitely made for the tourist crowd. The afternoon tea costs £75 with a glass of Champagne and them charging us for 4 without checking the bill was no surprise given the shoddy service we’d received the entire time we were there. Just the icing on the very dry cake. I’d say it’s safe to go for a drink and a snack/dessert, but wouldn’t bother eating a meal there. But this was just my experience – others seem to have enjoyed it. Oh what a disaster!! There are definitely some good afternoon teas to be found in London. Shame this wasn’t one of them! I have eaten dinner at sketch and enjoyed it, but won’t be going to afternoon tea now! 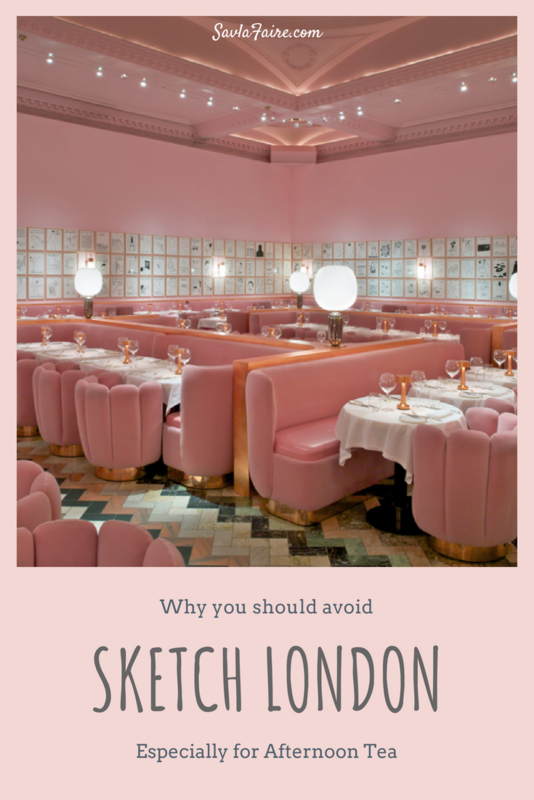 There are so many good afternoon tea options (have a separate post about that), which is why it winds me up that people waste money and time on places like Sketch. But each to their own… Many go for the decor and the ‘gram, so they’ll be happy with what they get. Don’t think I’ll be checking this place out! Enjoyed reading it though. Thank you. You’re really not missing out, Jane. Glad you enjoyed the post, and that it’ll save you some money! I recommend Claridge’s for a top-quality classic experience, and The Modern Pantry for something unique without being gimmicky.